The Role That Alcohol Plays In Your Spirituality Is Much Bigger Than You Think! In our modern society, alcohol consumption is implied and widely accepted. It’s even promoted in media through countless ads, depicting glamorous and cool living. Society loves to associate alcohol consumption with having fun, indulging in the finest liquor, wine, and beer. In order to know more of alcohol, it is best to go back to its etymology. “Alcohol” comes from the Arabic word “al-Kuhl,” which means Body Eating Spirit. The English word “ghoul,” also comes from it. Which according to Middle Eastern Folklore, is an evil demon believed to eat human bodies. “Alembic” and “alcohol” are both metaphors for aqua vitae, or “life water” and “spirit.” It refers to a distilled liquid, which came from Middle Eastern alchemy. Jason Christoff, a health writer, and enthusiast say that in alchemy, alcohol is used to extract the soul essence of an entity. Hence, it’s used in extracting essences for essential oils, and the sterilization of medical instruments. When one consumes alcohol into the body, this in effect extracts the very essence of the soul, making the body to be more susceptible to neighboring entities, most of which are low frequencies. This is why those who consumed alcohol in excess get blacked out, unable to remember what happened. Too much alcohol in the body makes the living condition too polluted and too traumatic for the good soul to thrive. Thus, it ejects from the body and stays connected only on a tether. This allows a dark entity to take the body, often in a hedonistic and self-serving illogical frenzy. For the spirits, our bodies are cars that when one spirit leaves another one takes over for a joyous ride. 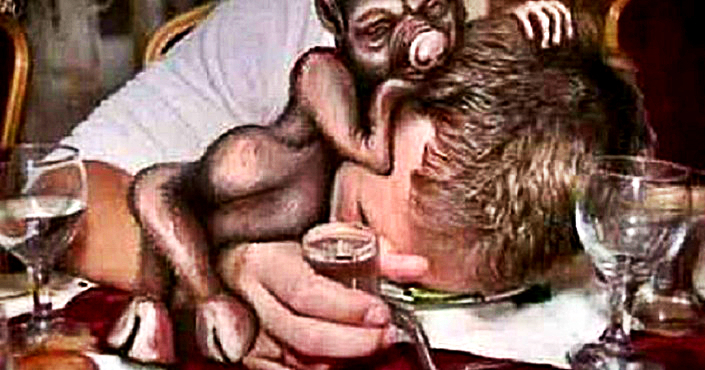 In essence, when someone gets dark by polluting themselves with too much alcohol, another entity possesses their body. This would hit home for anyone who consumes alcohol for a while. The idea of a soul actually stepping out of physicality as a result of excessive alcohol consumption would somehow resonate. This clearly explains why a drunk person usually forgets or becomes unaware of what happened under the influence of alcohol. Someone admitted that waking up in the morning and being clueless of what had happened is the worst thing that happened to him. In his normal state, he wondered how could he chose to do things that led him to a situation where his “good soul” would not absolutely do. This made him confused and afraid. According to him, when he started to drink, he reached to a certain point where he was unable to stop. At this point, he could see the darker entity taking over his physicality and used his body as a vehicle to experience a hedonistic lifestyle for the evening. He conceded, his experience of blackout started when he was 16 years old and continued for about 10 years of his life. He had difficulty taking responsibility for his actions because he had literally no memory whatsoever of what happened. He felt guilty and ashamed, but too hesitant to admit to others he has a problem in his life. Those closest to him would say that when he’s under the influence of alcohol, he’d become a completely different person as if it was not him. He decided to stop consuming alcohol after his healing journey of ayahuasca. He vowed never to allow his body to be used again as a vehicle for other entities. 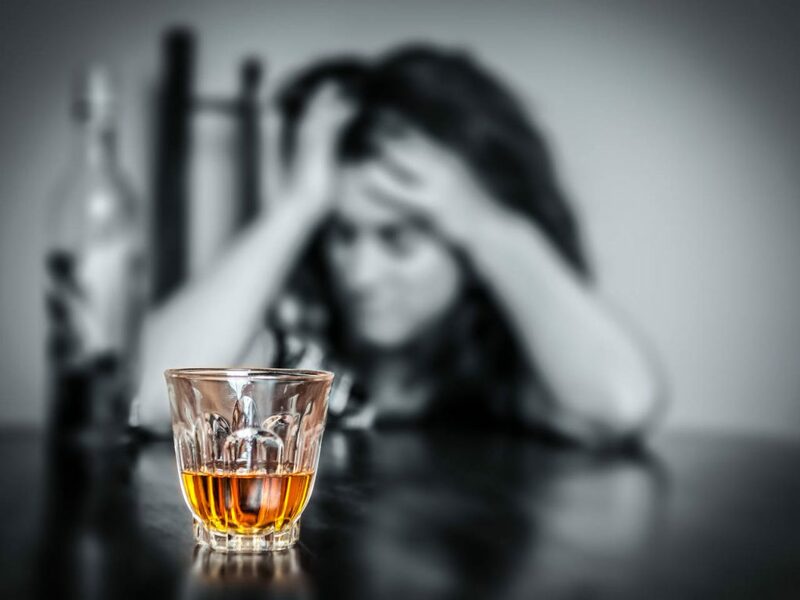 While we may see this as just one person’s journey of an alcohol problem and may not apply to everybody still, it affects anyone who drinks regularly and even those who manage to keep their senses and wits about them. Or, perhaps we can also consider the number of people out there who are in denial with alcohol problems. Most often, alcohol is used as a crutch, to aid in our feelings of comfort and confidence. Ironically, it doesn’t help in any way. It’s only making us someone we are not. 1. How often are you drinking alcohol? 2. Is your drinking habit not an escape from something else? 3. Do you find yourself enjoying in social situations without alcohol? 4. Do you drink alcohol to relax or relieve stress? Answer these questions honestly. When the answers are clear to you, consider and assess your relationship with alcohol. You may also consider challenging yourself by not taking alcohol for a month and see how your life goes without it. You may come up with healthier alternatives instead. When stressed out, try breathing exercises. Without alcohol as a means of escape, it would be easier for you to face the issues in your life and actually fix them. Once you take a break from alcohol consumption, you may face the possibilities of being ostracized from society or left out. When this happens, use this opportunity to get in touch with who you really are and embrace your insecurities, if you got any, head on. Who knows by doing this, you might find new friends who are more in alignment with your path.